The Notting Hill Guest House is next to Holland Park Tube, 10 minutes' walk from Kensington High Street. It offers affordable rooms with well-equipped kitchenettes, free Wi-Fi and traditional breakfasts. 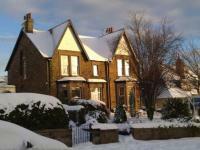 With free parking and free Wi-Fi, Sonas Guest House offers freshly cooked breakfasts and bright, cosy bedrooms. The historical Royal Mile and Holyrood Park are just a 20-minute walk away. 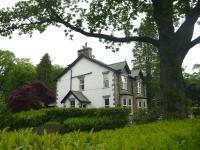 An attractive and well appointed hotel situated in a quiet, tree lined street, cosy and moderately priced. the neighbourhood is picturesque and cgeerful and has a cosmopolitan atmosphere. earls court station, a major underground interchange, is just three minutes walk away, while olympia, earls court exhibition halls and museums are within easy reach. Set on the coastal road between St. Paul's Bay and Melieha, Porto Del Sol Guesthouse has excellent bus links to the beaches and towns nearby. Each apartment has a balcony with sea view. Killead Lodge is a modern 4-star guest house located less than 2 miles from Belfast International Airport. It offers spacious bedrooms, free Wi-Fi and free parking. A traditional 18th-century Georgian building, the splendid Galadriel Guest House is just over a mile from Edinburgh's city centre. It has free private parking, and free Wi-Fi in public areas. 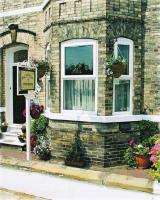 The Dalescroft Guest House is located in York, England, one mile from the city centre. Castle Howard is 16 miles away, and Leeds is at a 30 mile distance. Hotel Features. Occupying a traditional Victorian townhouse with a brick façade, the Dalescroft Guest House opens to an interior which combines original and modern design features. This three storey hotel provides complimentary parking permits for its guests, and pets are welcome. 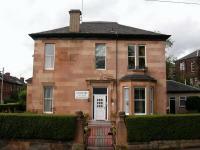 Situated in Edinburgh's New Town, this Georgian townhouse offers bed and breakfast accommodation and free Wi-Fi. Waverley train station is just a 5-minute drive away. 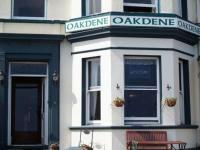 Dene Guest House offers individually decorated rooms with a TV for guests to use.